At Sonim, we’re on a mission to support first responders and public safety workers with innovative, ultra-rugged mobile devices that keep workers safe and connected in hazardous, isolated or emergency conditions. 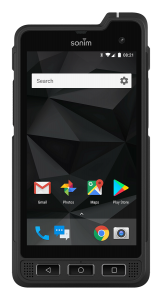 In fact, our new XP8 and XP5s mobile devices come with built-in Band 14 access to unleash the full power of FirstNet, accessing critical capabilities like First Priority™. With ultra-reliable communication of Sonim devices and accessories, public safety workers are free to focus on the task at hand: serving others, saving lives and getting the job done. 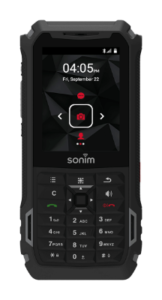 Sonim phones come equipped with easy-to-use PTT so you can instantly communicate in real-­time with one worker – or many – in extreme, isolated or emergency conditions. At Sonim, we create solutions that support multiple Public Safety applications. Check out these videos to better understand how Sonim’s ultra-rugged handsets can help you thrive and survive. Sonim ultra-rugged devices connect officers without issue or interference, so they can keep people safe during this popular hot air balloon event. Richard Santina and Dan O’Malley, Sr. Product Manager from Cisco, put Sonim devices to the ultimate water tests. This news story highlights how Sonim devices enable first responder communications during disasters. Action causes reaction. Here’s what people are saying. Now you can request a live demonstration with the world’s toughest mobile devices. Just fill out the form and we’ll contact you to schedule time with one of our Sonim team members to show you how our devices operate and how they can augment your existing communications plan.